Since our 2.6.0 release, users can report an ad as inappropriate. 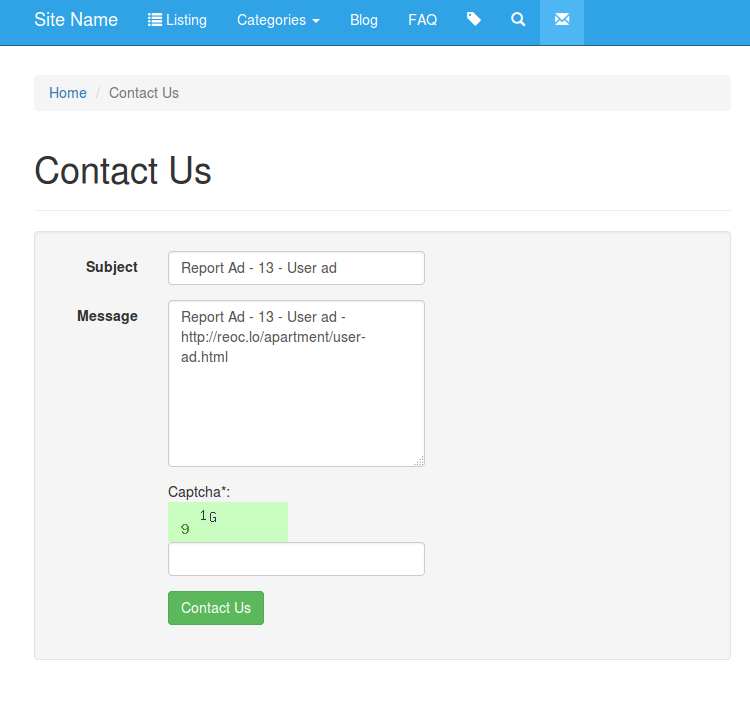 By clicking this button, they will be redirected to the contact page, where Subject and Message are already filled with the necessary text. An email will be sent to the administrator of the website in order to review the reported ad.